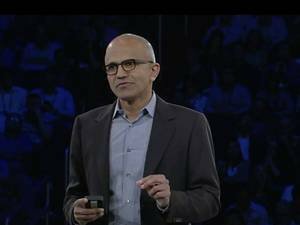 It’s not surprising that former Microsoft CEO Steve Ballmer abruptly gave up his board seat some six months after leaving the top job, and the move should help cement the regime and strategy of his successor Satya Nadella, according to several industry observers. In a letter to Nadella released Tuesday, Ballmer cited a number of reasons for leaving the board, including his recent $2 billion purchase of the Los Angeles Clippers basketball team. “I have become very busy” since leaving Microsoft, Ballmer said. He has indeed thrown himself wholeheartedly into running the Clippers, which were marred by a public scandal after former team owner Donald Sterling was banned from the league for making racist remarks. 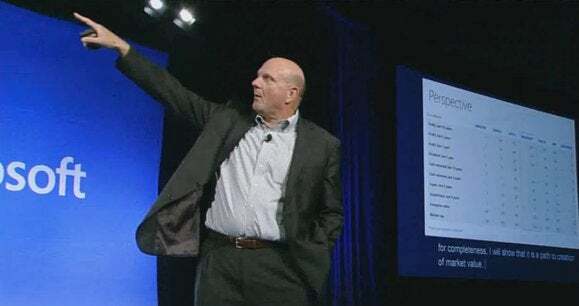 On Monday, Ballmer held a rally with fans of the team, during which he displayed his trademark vocal bombast and kinetic enthusiasm. In his letter to Nadella, Ballmer also expressed confidence in Microsoft’s “approach of mobile-first, cloud-first, and in our primary innovation emphasis on platforms and productivity.” He also said he plans to maintain his financial position in Microsoft, saying he is the single largest shareholder apart from index funds. Ballmer may have also been smarting from decisions Nadella has made, such as the 14 percent staff reduction last month that focused largely on workers who came aboard through Microsoft’s $7.2 billion acquisition of Nokia’s mobile phone business. That deal was driven vigorously by Ballmer, who reportedly struggled to gain buy-in on it from Microsoft’s board. "Like coming to a party after [being] asked to leave"
Some level of orchestration undoubtedly went on behind the scenes given that Tuesday’s announcement came just one day after Ballmer’s raucous Clippers rally, which seemingly marked a new chapter in his career as head of the sports organization. But while Ballmer may have left Microsoft’s board, he’s not going away completely and he made sure the company knows it, Miller said. The fact that Ballmer highlighted his major financial position in Microsoft is important for a couple of reasons. For one thing, “it shows he still believes in the company and wants it to grow,” he said. But Ballmer was also sending the message that he still can influence the company, and wants to make sure it goes in the right direction, according to Miller.